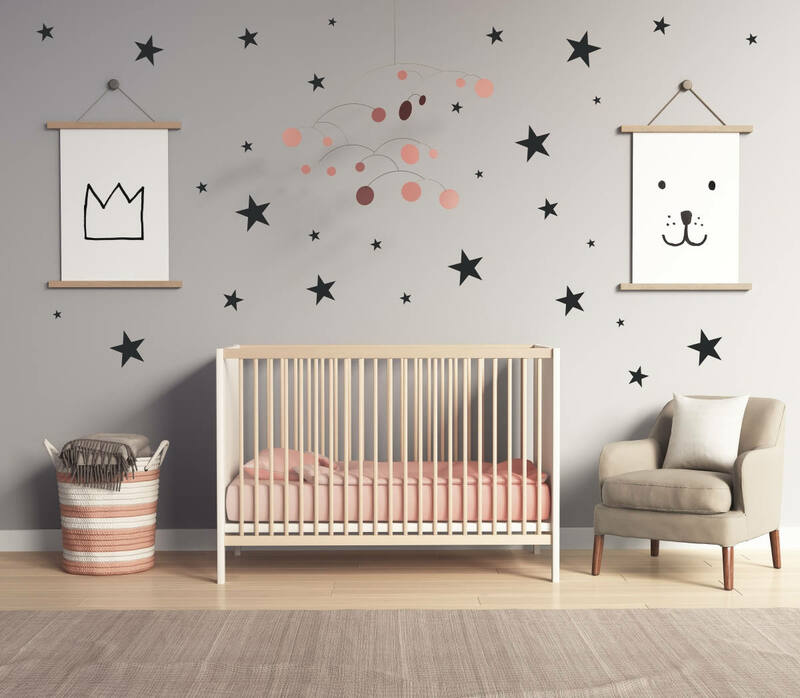 The scattered stars vinyl wall decal package is a super cute pottery barn style when decorating a nursery or little boys bedroom. 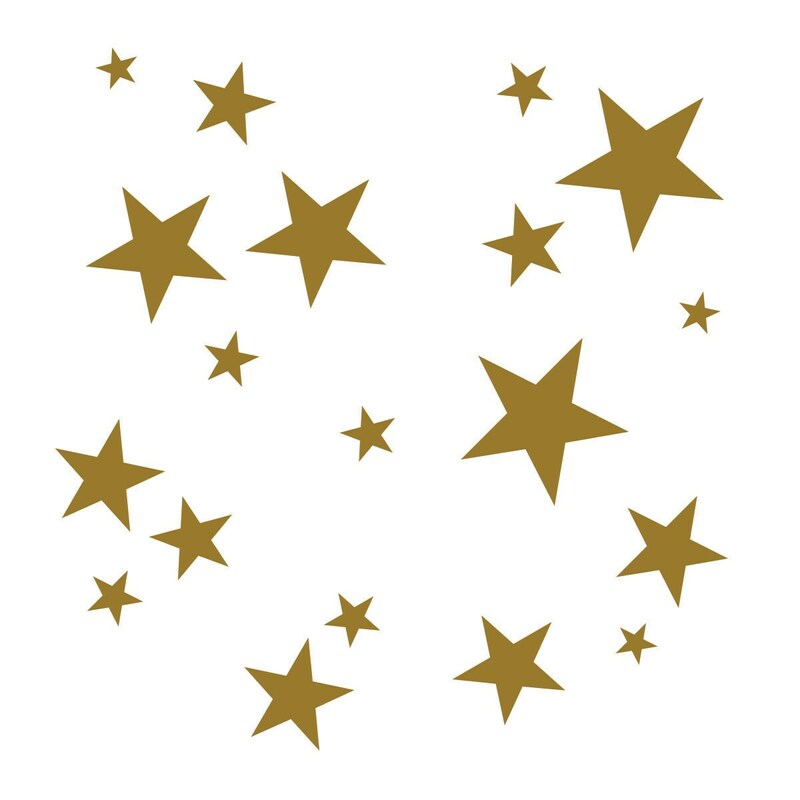 Scattered stars are glorious in metallic gold and silver for grown up pottery barn style holiday decorating. 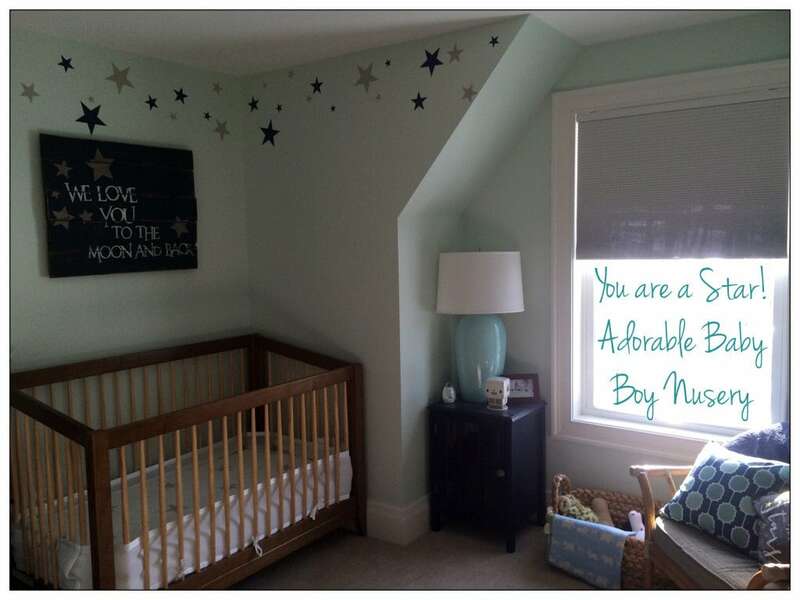 Thanks so much to Heidi for sharing her adorable baby boy nursery. 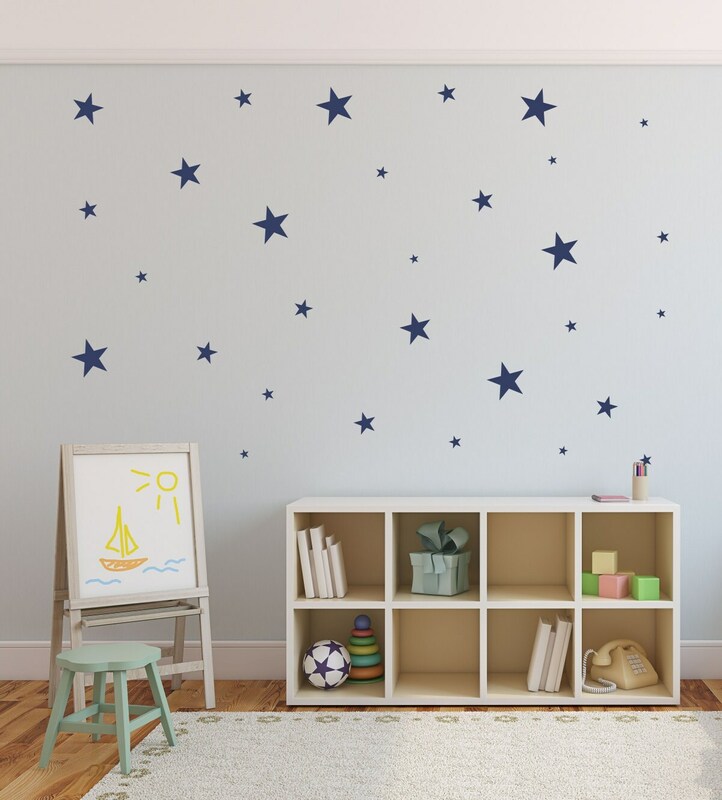 Wall decals are a quick, easy and affordable way to add designer style to every room in your home. 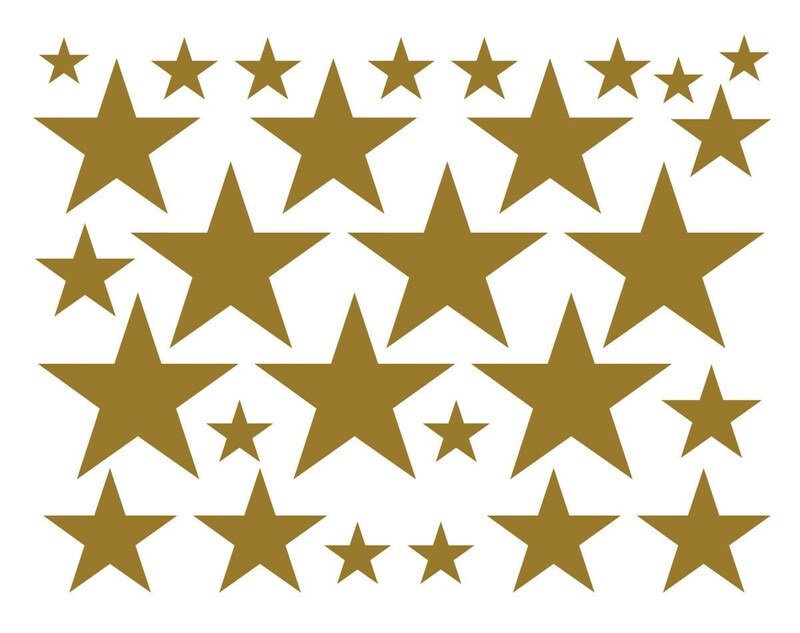 28 stars sized from 1.5" - 6". Your package will also include a squeegee application tool, at least one tweet little bird test decal and easy to follow instructions. 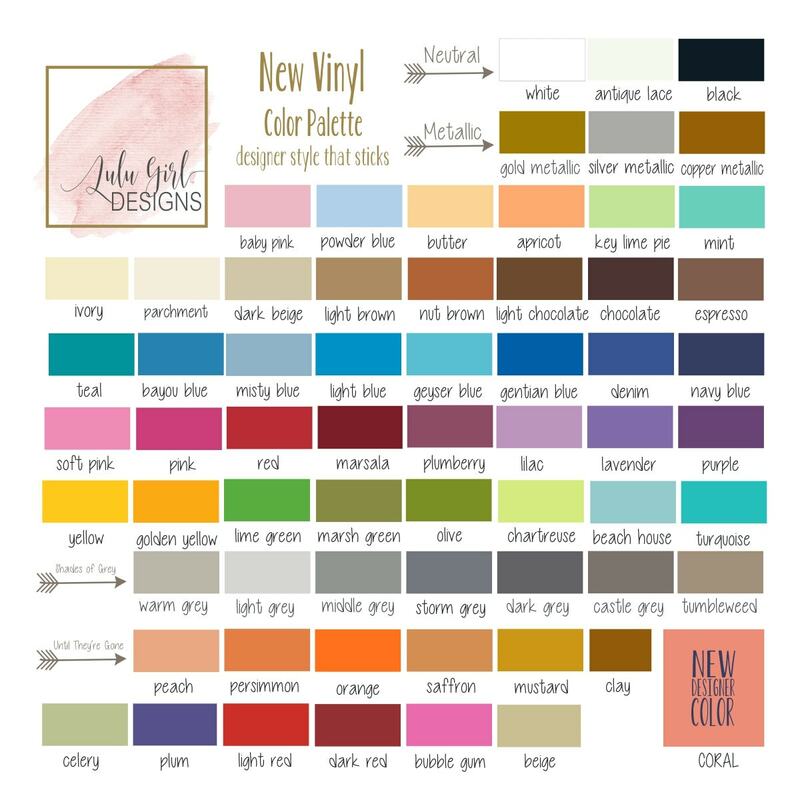 Every decal is made of commercial grade museum quality matte vinyl which looks like paint once applied to the wall or surface. Decals are removable but not reusable.